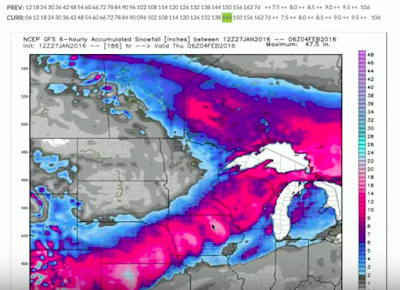 Although it's days off, model data suggests there's a system to watch for next week that could result in significant snow for Minnesota. We asked Tom Novak from @novakweather for his thoughts at this early juncture. And thanks to viewer questions! Mid- and Late-Week Snow Possbilities? Vikings Playoff Weather? Arctic Push Next Weekend? Since the Boxing Day storm that delivered substantial snow amounts to some, the weather has been winter blasé. The forecast appears to hold out possibilities for snow on Wednesday and Friday. And what will the weather be like for the all-important Vikings-Seahawks game on Sunday? Use this space to discuss your thoughts.